Learn how you can transform your room with an easy painting project! Home improvement may seem like a large undertaking for many owners, but what if there were a way to upgrade and modernize your home with a simple paint-job? Download this FREE guide to see how easy it is to spruce your home up with a couple coats of paint and get inspiration for your own home. 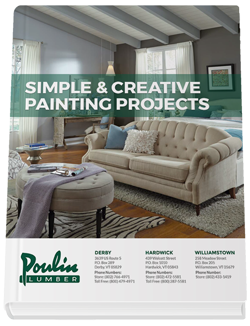 Copyright © 2017 Poulin Lumber-US LBM, LLC | Designed by LMW Design, Inc.